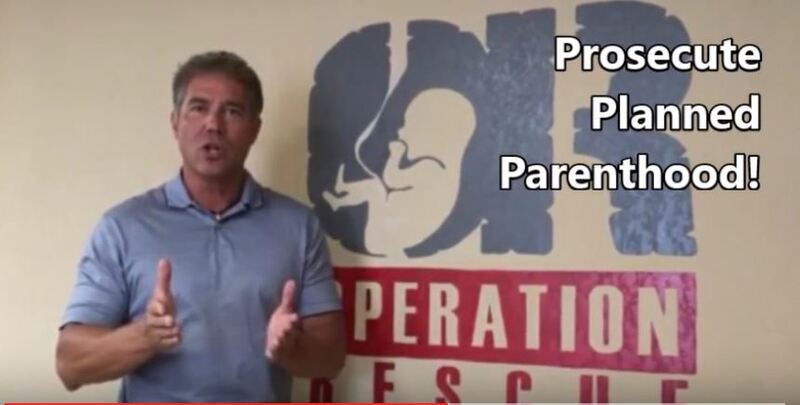 Troy Newman, president of Operation Rescue and board member of The Center for Medical Progress (CMP), which has exposed Planned Parenthood for its gruesome body parts harvesting, is calling for the organization to not only be defunded, but prosecuted. They are attempting to deflect that Planned Parenthood is violating the law by profiting from the sale of human body parts, that they are manipulating the abortion techniques to put profits ahead of the health safety of women. And the videos also show that babies are being born alive and being murdered. To date, CMP has released ten videos showing Planned Parenthood executives haggling over the price of organs and even admitting they will crush above or below specific body parts to preserve the organs they want to harvest. The undercover videos have outraged Americans and prompted the majority of GOP Presidential contenders to vow to defund Planned Parenthood, which currently receives over $528 million in federal tax dollars annually. To help apply pressure, Newman is calling for pro-lifers to visit DefundPlannedParenthoodNow.com to purchase postcards – urging representatives to completely defund Planned Parenthood – which will be hand-delivered to Capitol Hill offices in the next few weeks. But Newman said defunding the abortion giant is not enough. He is calling for their prosecution as well, urging state attorneys general to view the videos and act accordingly. Newman also urges pro-lifers to protest Planned Parenthood on October 10th. This protest follows one in August in which over 78,000 people participated, at 354 sites throughout the U.S. and in six foreign countries. Anyone wishing to participate can lead an event or locate one at www.ProtestPP.com.